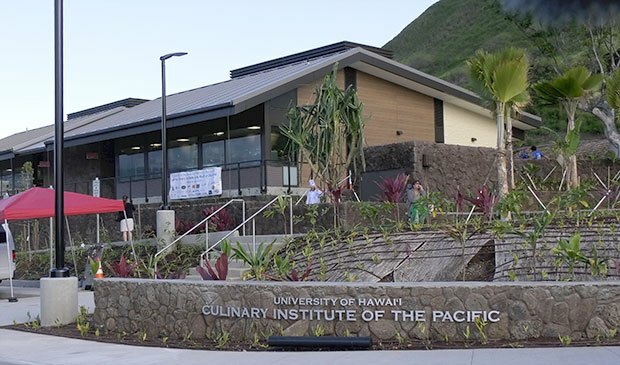 This past fall, the Culinary Institute of the Pacific (CIP), the University of Hawaii’s flagship culinary campus, opened. “It’s beautiful,” says Kapiolani Community College culinary arts professor Alan Tsuchiyama of the $25 million dollar, 7.8-acre culinary facility on the slopes of Diamond Head. “The stoves, ovens and burners are all modular: you can unplug each unit to make the kitchen more versatile.” The campus has two kitchens, one described as Western and the other Asian—for instance, equipped with burners that can accommodate woks. Read More or see the Culinary Institute of the Pacific. 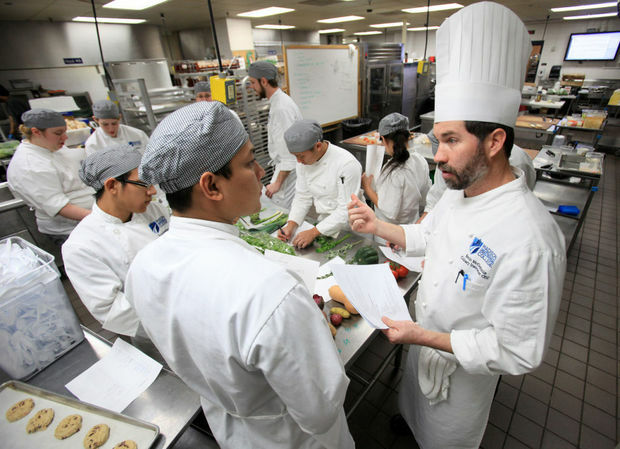 Joliet Junior College this week unveiled its new, culinary arts facility in the college’s downtown Joliet renaissance center. The culinary program takes up 5 of 6 floors at the 96,000 square foot downtown space and students and faculty will operate two restaurants there. JJC spokeswoman Kelly Rohder said in an email that JJC expects 400 students using the building this semester, with room to grow in the future. Read More or see Culinary Arts at Joliet Junior College. The culinary facility, which opened as classes began last week, is part of a $31 million renovation of MATC’s Truax campus that will run through next summer and also upgrade student lounges, the cafeteria and the college’s cosmetology program. Filled with new, top-of-the-line equipment, instructors say, the space will bolster the two-year culinary arts program and turn out chefs who are fully prepared to work in top restaurants. While students had to share work stations in the prior, cramped facility, an upgraded kitchen for first-year students has enough stations for students to have their own countertops and burners. Read More or see Culinary Arts at Madison Technical College. E. F. Whitney, Inc. has been selected as the culinary designer for the new Joliet Junior College City Center Campus will include the relocation of JJC's nationally renowned culinary arts and hospitality programs. 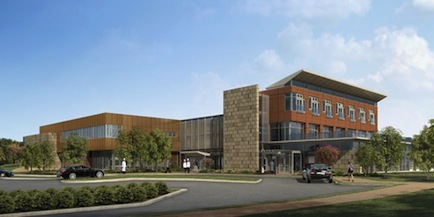 This new 60,000 square-foot building will be located on the northeast side of campus near the McAninch Arts Center (MAC). It will house new and expanded kitchens, bakeshops and a market for Culinary Arts, a fine dining facility, large meeting rooms, training labs, a wellness room for Hotel and Lodging programs, and a new state-of-the-art multimedia center and amphitheater. This building will invite College of DuPage guests, business and community members to visit or even stay on campus to take advantage of the dining and hotel services offered by the Hospitality and Hotel programs, as well as other College of DuPage programs. E. F. Whitney, Inc. has been selected to design the teaching kitchens for the new Culinary Arts project at the foot of Diamond Head. The new culinary building will allow Kapiolani Community College's current two-year program to expand into a four-year program. We'd love to discuss what we can do for you. If you would like to know more, get in touch.